A perfectly functional gutter system can be ruined by a downspout draining improperly. It’s important to make sure that the end of the downspout is taking the water an appropriate distance away. If it’s not, all the water caught and flushed away by the gutters will come right back. Drainage plays a significant factor in the health of your home’s foundation, so don’t ignore this common mistake! How to Repair It: Fixing a downspout that’s draining too close to your home is very simple. First take a look and measure out how far you can extend the downspout. If you can fit it, six to eight feet from your home’s foundation is a good distance, but it will depend on your house and landscape. Then you simply need to purchase an appropriate length of gutter extension and attach it. Many rain gutter repairs start when their homeowners notice a spot where their gutters appear to sag or pull away from the house. Because there are several reasons a gutter may begin to sag, you need to immediately identify the cause. It’s important to discover the reason they’re sagging and the extent of the damage. In many cases, the damage is minimal and the repair is quick. However, if left too long, a warped or sagging gutter could allow significant water damage to affect your home. How to Repair It: How you fix these issues depends on what caused them and what kind of damage they sustained. Sometimes the problem is as simple as a missing or damage hanger, which only needs to be replaced to correct the issue. However, if the damage is substantial and you suspect water damage has made its way into your home, it’s time to call an expert. Not only can water seepage destroy your siding or foundation, it can promote infestation of mold or insects. Sometimes the indicators that your gutter isn’t doing its job aren’t obvious. There are a number of potential ways to look out for damage to make sure a small problem today doesn’t turn into a major repair tomorrow. Siding Damage – This could be anything from a small crack to peeling paint. If you notice something is wrong with your siding, check to make sure the gutter isn’t letting water end up where it’s not supposed to. Cracked Foundation – If your foundation is cracked, it indicates that water is coming in from somewhere. Once you’ve fixed the source of the water seepage, make sure to repair any cracks in the foundation. Water Marks Under Your Gutters – Do you see water marks or damage directly under your gutters? That means they’re letting water overflow and you need to find the cause. 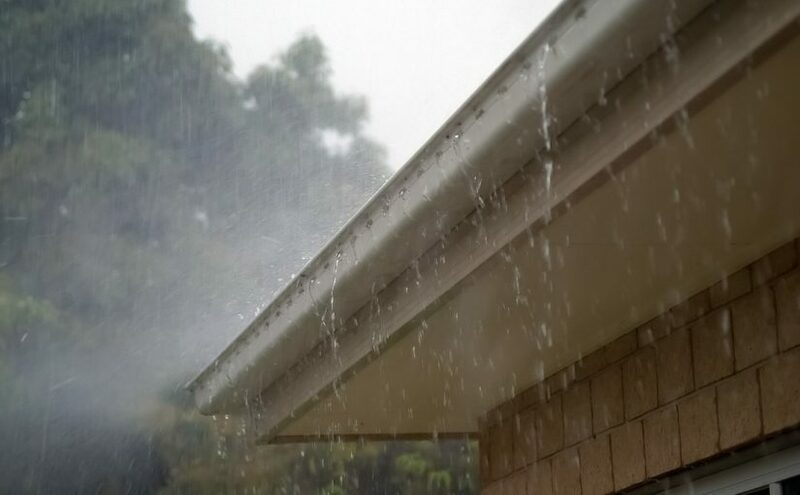 Roof Damage – If your gutters are clogged and overflowing, it’s likely that the water will sit on your roof and seep into your house. Keep an eye out for signs of roof damage near your gutters. Mold – Mold can only thrive where it has moisture to grow. If you find mold around your foundation or anywhere else, you won’t be able to remove it until the source of water is gone. If you’re worried that your gutters are letting water seep into your home or would like an inspection to guarantee your foundation is in good shape, EverDry Toledo can help with a FREE 20-point basement inspection! We’ll help you find out if your home is at risk for water damage and which solutions will best serve you.